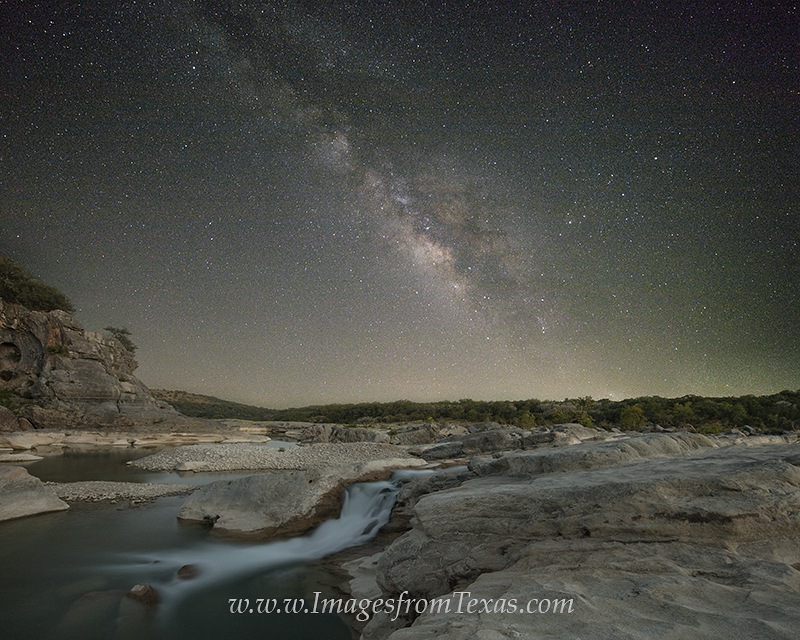 On a moonless night in the Texas Hill Country, the Milky Way moves across the vast sky. In the foreground, the Pedernales River spills over some small rocks as it winds its way through the limestone canyon. Photo © copyright by Rob Greebon.